Hello everyone and welcome to our blog. October is Breast Cancer awareness month and unfortunately cancer is affecting more and more Americans each year. It is estimated that there are over 12 million cancer survivors in the United States and in 10 years there will be over 19 million survivors[i]. Over half of these survivors are of breast, colon or prostate cancer. A little backstory on how cancer inserted itself to my life. My Grandma Warren had been diagnosed with breast cancer in 2005/2006 and fortunately through chemo and radiation treatment she had gone into remission. After 4 years of being “cancer free” the fears of every cancer survivor became real when she was told her cancer was back. 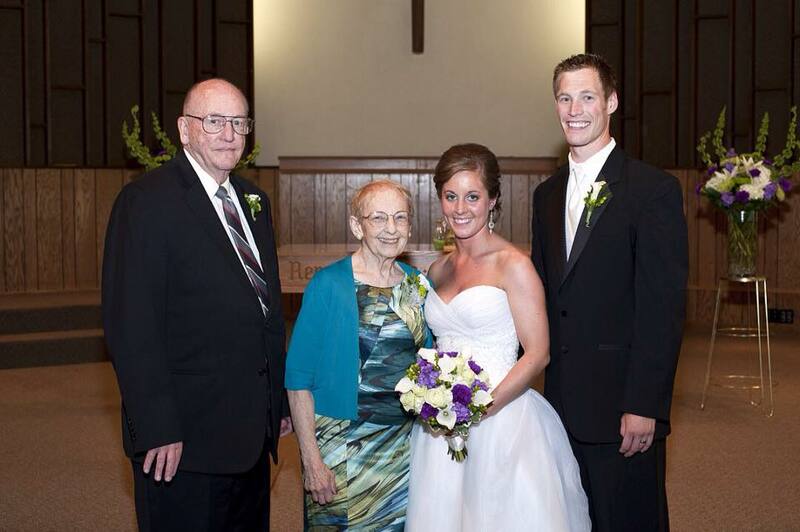 While my family dealt with coming back to Minnesota, opening a new business, and having a new baby we moved back into my parents’ home. For a time, we had 4 generations living under the same roof. I got to watch first hand as Grandma bravely went through her 2nd round of chemotherapy. I remember when she decided to discontinue the treatment knowing it meant she would have a brief time of health before the cancer killed her. I remember the week of hospice care, and being up with her at night during the last week of life when things got really tough. The picture you see we taken in that short 4-6 week window when Grandma had stopped the treatment, but we all know the cancer had spread throughout her body. It was this personal experience that began my research and learning about how to help cancer patients. I have been privileged to work with many cancer survivors to help them regain health after treatment and live life in a way that reduces their risk for the cancer coming back. This article is the first of 2 posts. What symptoms do cancer survivors have post treatment/therapy and what can be done to improve these symptoms? A must have fundamental test for cancer survivors struggling with insomnia and fatigue is an adrenal stress index to check the cortisol rhythm. The basics of this test are that your cortisol (your stress hormone) is supposed to move throughout the day. We want the values in the green on the test sheet throughout the whole day. Up to 70% of patients with advanced breast cancer show flattened circadian profiles, consistently high levels, or erratic fluctuations[ii]. What is even more important is patients with healthier cortisol rhythms had better survival rates! When the cortisol gets either too high OR too low it creates problems with energy, sleep and your immune system. 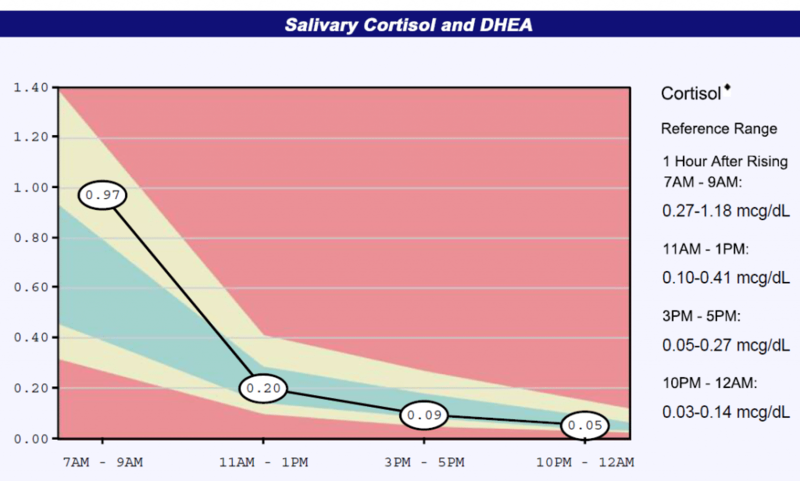 This makes sense when we realize that cortisol works directly opposite of the sleep hormone melatonin. While melatonin is famous for helping people with sleep, what most people do not know is how much research there is about cancer prevention and melatonin! The research is obvious: healthy melatonin is an absolute must for cancer patients! A study in Cancer Research in 2006 found melatonin to prevent and reverse cancer development and progression as well as decrease side effects such as fatigue and poor sleep[iii]. Another study in 2013 finds melatonin helps in multiple ways to decrease the side effects of conventional treatment as well as increase anti-cancer effectiveness[iv]. This means melatonin has effects in helping symptoms AND preventing the return of cancer. I could keep citing references for pages and pages. If you are bored next Sunday during the football game and looking for some good reading go to pubmed or google scholar and type in “Cancer and Melatonin”. With over 66,000 articles it should keep you busy for a while. (My friends tell me that normal people do not read research articles while watching football games on mute, but I personally find it the best way to watch sporting events 🙂 ). I would like to point out one quick note with dosage before we move on. The primary studied dose for melatonin is 20mg per night. We can do a different blog article all about this cortisol/melatonin balance and various dosages but specifically in cancer we find it important to use the dosage that has shown the benefit in multiple peer reviewed studies. Besides cortisol/melatonin what can be done for fatigue and peripheral neuropathy? An essential part of care for our cancer survivors is focusing on repairing and re-establishing good mitochondria in their cells. Mitochondria are known as the “powerhouse” of your cells and all cancer drugs and treatments are absolutely toxic and destroy these vital organelles in your cells. While an obvious symptom of losing your source of cellular energy is fatigue, this also plays a huge roll in peripheral neuropathy. We could devote entire articles to both mitochondria and peripheral neuropathy, but for simplicities sake let me talk about one nutrient we find absolutely vital to address neuropathy: Acetyl-L Carnitine. L-Carnitine is a nutrient which helps mitochondria produce energy from fatty acids and it is depleted by cancer treatments. Not only does L-carnitine help patients with their neuropathy symptoms, but it does so while simultaneously helping to heal and restore the nerves to better health! [v] This is in stark contrast to other “treatments” which actually work by stopping the nerves from working. The Last symptom of “Chemo-Brain” …want to feel smart again? One of the most frustrating symptoms for many cancer survivors is the dreaded “chemo-brain”. We know now that this happens from damage to the brain during treatment. What is frustrating for so many patients is the years and years they go on after treatment feeling like their brain does not work. Working in partnership with a neuro diplomat (my partner Dr. Paul) means we have a huge amount of patients with brain related dysfunctions and “brain-fog”. We find there are a few real keys to getting a brain back online and functioning at a high capacity. First and foremost handling out of control inflammation in the brain is essential. Even most of our healthcare colleagues do not know the brain has a different immune system than the rest of the body! This means we can get situations where we have out of control brain inflammation hindering function. Some anti-inflammatories work well in the body, but do not help all that much in the brain. Our favorite anti-inflammatory for the brain is most definitely turmeric. It is an amazing flavonoid and has shown great benefit to so many of our patients. The key is getting enough to make a difference. We often get patients who are already taking a turmeric supplement and simply aren’t taking enough. Think of inflammation like a fire. 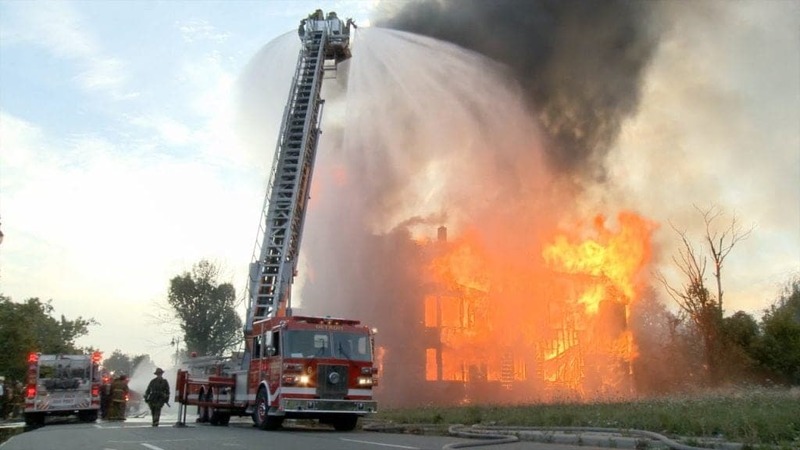 If your house is on fire you need the fire hose not the garden hose. If the whole forest is on fire, you might need the national guard! Another vital part to healing brain fog is making sure to get BDNF high. BDNF stands for brain-derived neurotrophic factor and it is a nerve growth hormone. When you have more BDNF your neurons can build connections and grow easier. When your neurons grow and make new connections that is called learning! If your neurons can’t connect you can’t learn new things or take in new information! Essential pieces to raising your BDNF are exercise, vitamin D, and a high DHA omega 3 fatty acid. Do not get sucked into the argument of whether the omega 3 is coming from fish, plankton, krill, or octopus! This is one of the goofiest rabbit trails patients try to bring me down. Instead focus on correct dosage of the omega 3. For brain related problems we recommend between 900-1200 mg/day of a high DHA based fatty acid for best results. Next time I will go through research specifically targeting preventing cancer from returning! I will run through a list of absolutely MUST HAVE blood tests for any cancer survivor that your doctor probably are NOT running. As always this blog article is speaking in generalities and trends. Dr. Paul and I strongly believe each patient deserves a unique, thorough, and individualized health plan and encourage you to call the office at 952-479-7801 to make an appointment and get specific with your health today! [i] De Moor J, Mariotto AB, Parry C, et al. Cancer Survivors in the United States: Prevalence across the Survivorship Trajectory and Implications for Care. Cancer Epidemiol Biomarkers Prev. 2013 Apr; 22(4):561-70. [ii] Sandra E ephton, Robert M Sapolsky et al. Diurnal Cortisol Rhythm as a Predictor of Breast Cancer Survival. J Natl Cancer Inst 2000;92:994-1000. [iii] Brittney Jung and Nihal Ahmad. Melatonin in Cancer Management: Progress and Promise. Cancer Reseach2006;66:789-9793. [iv] Di Bella G, Mascia F, Gualano L, Di Bella L. Melatonin anticancer effect: review. Int J Mol Sci. 2013 Jan 24; 14(2):2410-30. [v] S Chiechio, A Copani et al. L-Aceylarnitine: A Proposed Therapeutic Agent for Painful Peripheral Neuropathies. Curr Neuropharmacol. 2006 Jul; 4(3): 233-237.